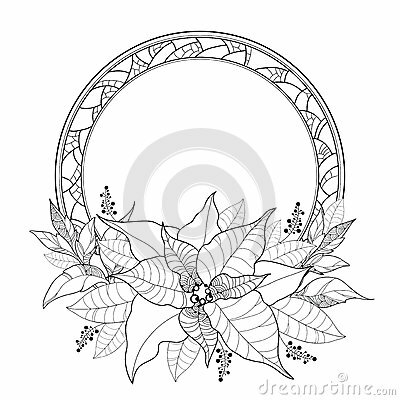 Vector Poinsettia or Christmas Star, leaves and ornate round frame isolated on white. Outline Poinsettia flower for winter design and coloring book. Traditional Christmas symbol in contour style.